This is a sponsored post, but my opinions are my own. I do! Especially with all the money that I've been spending lately. 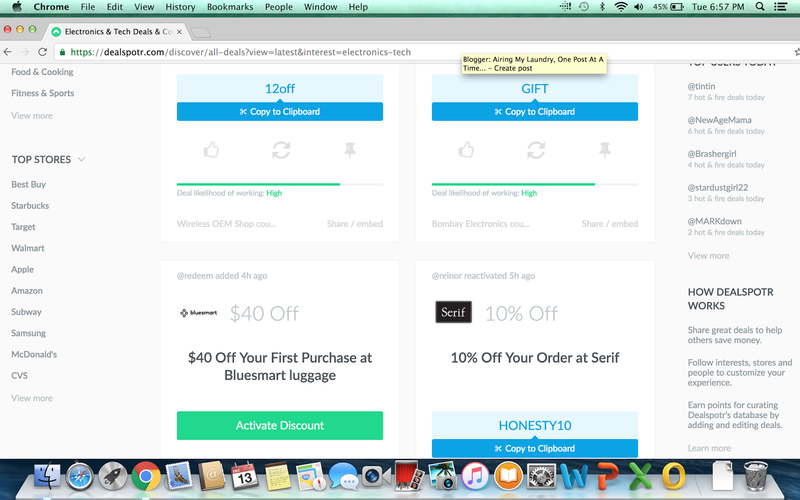 Luckily I've discovered a site called Dealspotr where I'm able to save at all online stores that I love. Here's how it works. 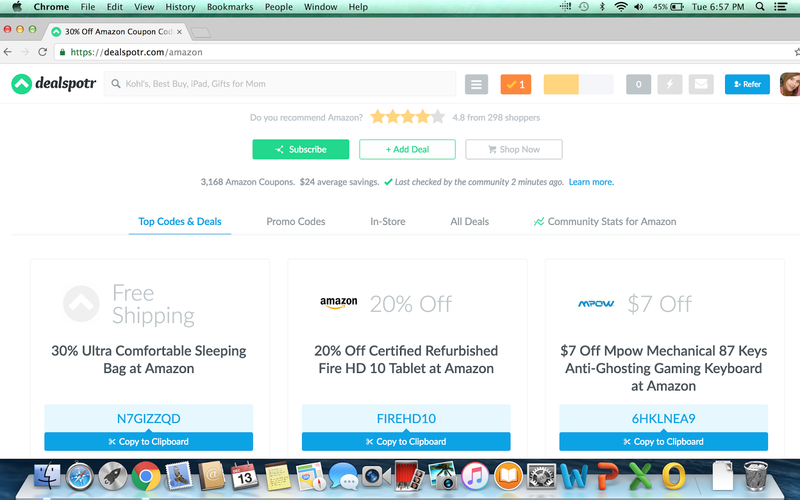 Dealspotr is basically the Wikipedia of deals. 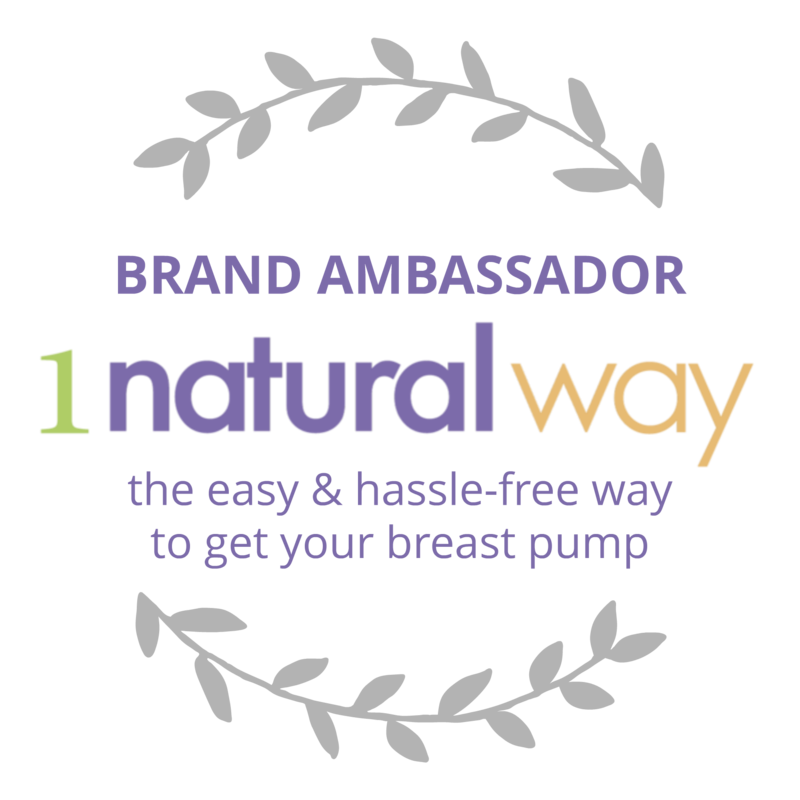 They have the highest coverage and reliability of coupon codes in the industry. It's so easy to use. I simply signed up, and then I could browse all the amazing coupons. Then I added my interests, and I immediately start seeing all sorts of deals for the things I wanted to see. I frequent Toys R Us during the holidays, so I was pleased to see what I could find for a fantastic price. And you all know how much I love McDonalds. 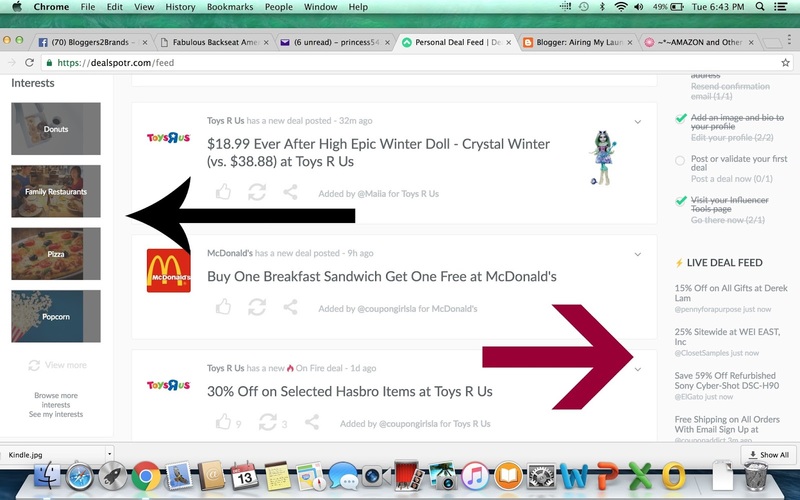 I also loved the Live Deal feed so I could easily see any fantastic offers right away. And if I want to see ALL the deals, I just can click ALL DEALS. If you have a certain store you love, type it in and all the deals for it will pop up. For example, I love Amazon and it showed me the top codes and deals. You can also ADD deals to help others out. You can earn points by doing this. Points=gift cards. 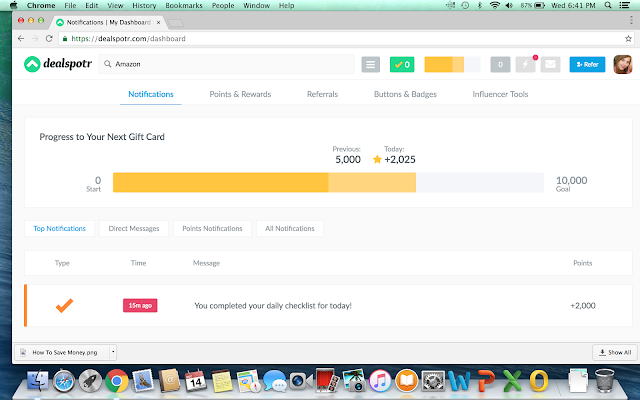 So basically you can earn something for yourself by sharing fantastic deals. I also like how members of the site can validate or invalidate a deal. Sometimes people might think they are posting something great only to have it not work. So a member will click that it's not working. OR they can validate a deal if it is working, so others know that they can save with no issues. You can easily check on your progress to see when you'll earn that gift card. Curious on some deals on the site? I loved this one because my daughter loves emojis and these emoticon pillows are something she'd love. Plus, they're only $7.99. There are so many more fantastic offers, so be sure to check them out. 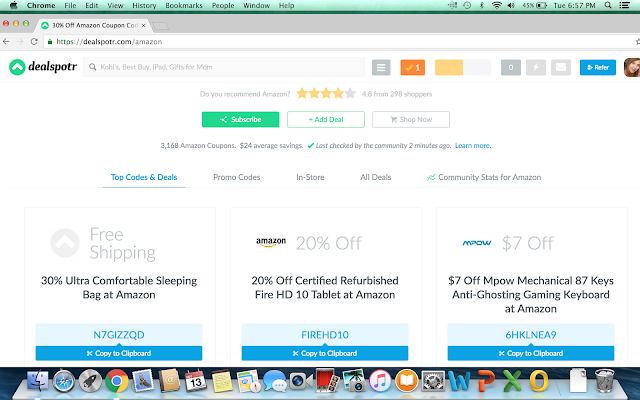 Dealspotr has helped people save over 15 million bucks! So consider joining. If saving money is something you enjoy, click here or use the promo code WHISPERINGWRITER. Does saving money excite you too? Will you be joining Deapspotr? This is awesome. I am definitely into budgeting and being money-conscious right now. We are currently a one-income family as my husband finishes up medical school. (And, as a teacher, that income isn't so large!). So I appreciate deals whenever I can get them! This sounds like an awesome site! I am always looking for the best deal and spend a lot of time jumping from site to site. Seems like this would save me a lot of time and money! I love stuff like this! I am all about saving money. I love saving money, so it's always good to find new ways to do that. I am not a couponer. It always looked way too complicated. I wondered how one would keep all those bits of paper organized. An on-line system like this may just be what is needed to make this doable. Who doesn't like a good deal especially around this time of the year. Thanks for this post. I am so into saving money too. Thanks for sharing this, I'll give it a look. Sounds like an awesome deal site! Always looking for ways to save money. I have to look into joining Deapspotr. Dealspotr looks very cool. I like how convenient it is to find all the best deals. I'm a sucker for a good deal. Will have to try this out with all the online shopping I do! I have never heard of this website before. I love to be able to save money. There are some great deals on this site. Wish I knew about this site a couple of weeks ago. So many awesome money-saving apps out these days! I can't believe this is my first time coming across this one in particular. I wanna give it a try. I love that! The "Wikipedia of deals." So smart. I am always looking for new ways to save money and Dealspotr sounds brilliant! You know me I love saving money. I'm so checking this out. Are the deals even better than Amazon? Never heard of Dealspotr but it looks great for saving money! Will check this out! Thanks for the recommendations! 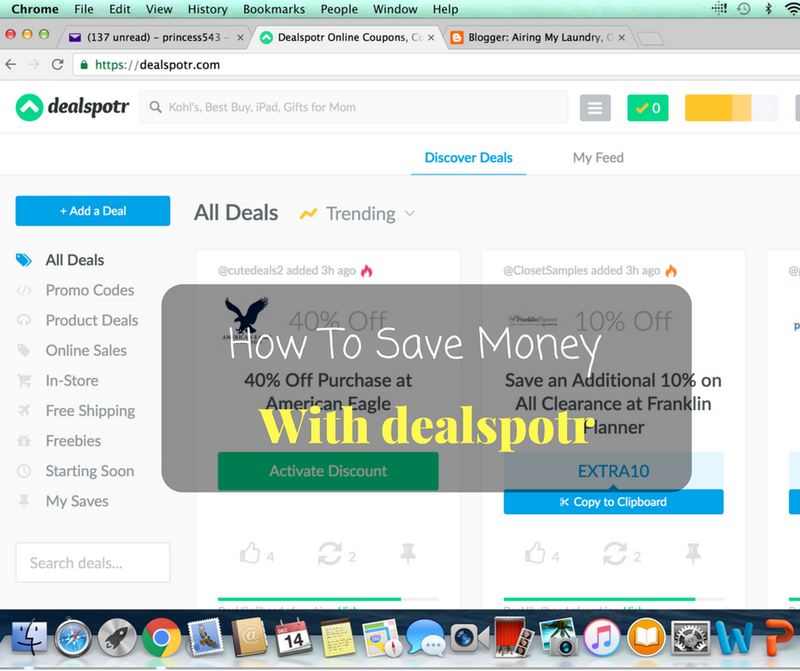 This is the first time that I've used dealspotr! That's awesome and it's definitely going to help you save a lot this season! I have heard about this lately and been curious. I definitely need to check them out. 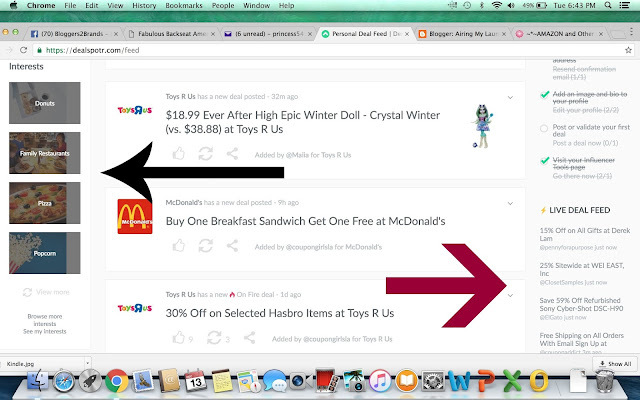 Amazing site, love that it's all in one place and much easier than clipping coupons :). Wow this is such a cool site to catch those deals. I'm obsessed with finding and saving a buck so thank you for this!